I've recently reread a great book "First Things First" by Stephen Covey and it reminded me, yet again, how important it is to organize our activities well and dedicate our time to people we love and things that matter. Learning a new language on a daily basis, or any other skill for that matter, can make a huge difference in the long run, once we urgently need it. That's why it struck me that I should use this blog, and all the digital teaching content I've created in years, not only to encourage you to perservere, but provide you with meaningful and graded content to learn Serbian regularly. Even if you skip a day or two, or an entire week/month, you know that you have everything in one place, right here ! 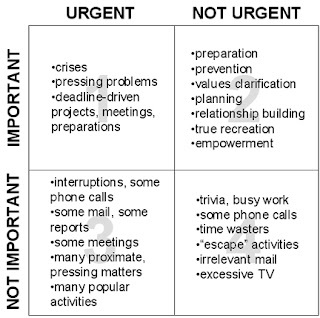 As you can see, if we are in the first quadrant we are doing things that are both important and urgent to us. Most of us are in this quadrant at work. The second quadrant is the most meningful, because we are doing the most important but not urgent activities, things that we've always dreamt about, but never had time to do. Unfortunately, we tend to spend the least amount of time there, simply because we have more pressing tasks. 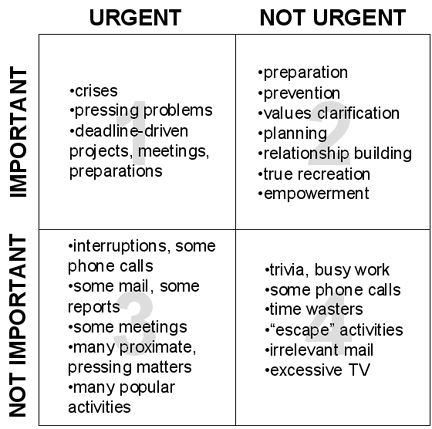 The third quadrant is the perfect example of such tasks, things that not important, but urgent. If we are addicted to this sense of "urgency", we'll easily slip from the first quadrant at work to the third quadrant at home, retaining that sense of haste and frenzy that energizes us. If on the other hand we detest urgency, we tend to spend most of the time in the fourth quadrant, doing the least important and least urgent things, such as watching TV, playing computer games, chatting etc. However, if you spend most of your time in the second quadrant, you'll see that the amount of "urgent" tasks diminishes, and that calmness, satisfaction and confidence starts to prevail. You can read more detailed descriptions of this concept if you simply google the name of the book and its author. 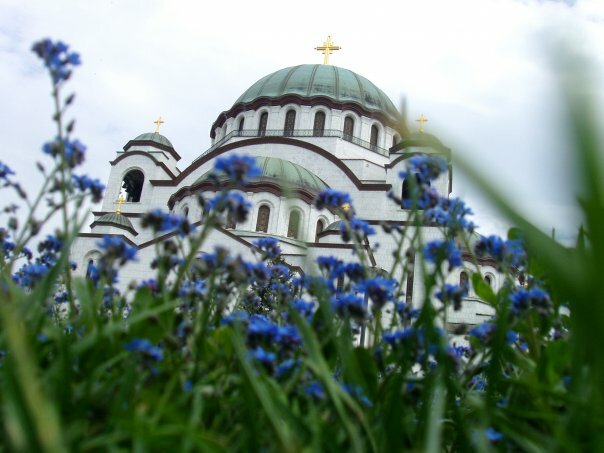 I simply wanted to explain to you how my idea of 365 days of Serbian came into existance, and to encourage you to learn Serbian on a daily basis.